Vizcaya welcomes Arianne Traverso of Om for All Yoga for a 60-minute, all-level vinyasa class. Classes are held in various locations throughout Vizcaya, including the Garden Mound, South Terrace, and other evocative environments through the estate. The class includes free all-day admission to the museum and gardens. Guests are welcome to spend the rest of the day exploring the gardens and Main House following the class. 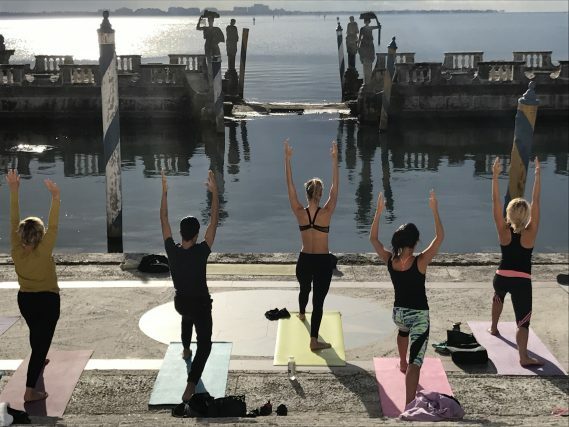 Come breathe, stretch, and meditate over Vizcaya.